New Jersey State Sen. Ray Lesniak indicated he has reason to believe that PokerStars will be approved to offer online poker in New Jersey in the next few weeks. Lesniak added that he expected the announcement from the New Jersey Division of Gaming Enforcement (DGE) clearing PokerStars to come in weeks, not months. Having the world's most popular online poker site operating in New Jersey is part of Lesniak's three-stage plan for turning around the fortunes of struggling Atlantic City, which will have had four casinos close this year by the end of next week. Online gaming revenues have been disappointing in their first year, at $73 million through July. This is particularly true in online poker, where revenues have fallen by 35 percent since March. Casinos in Atlantic City began offering regulated online poker in November, but PokerStars wasn't allowed to participate despite a partnership with Resorts Club Casino. The DGE suspended review of PokerStars' application, citing the ongoing federal indictment of founder Isai Scheinberg as a main reason. Ownership changed hands in June, with Amaya Gaming — a company already licensed in New Jersey — acquiring PokerStars and Full Tilt Poker in a $4.9 billion deal. With Scheinberg no longer part of PokerStars, that provided the opportunity for the DGE to reopen the PokerStars review. 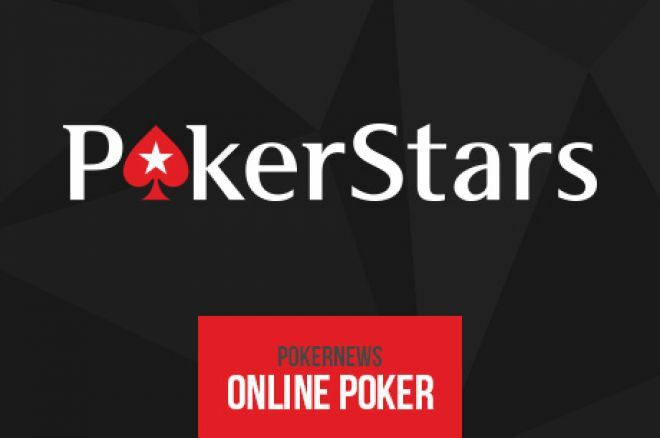 Having PokerStars licensed to operate in a U.S. state also would presumably go a long way to help the site gain a future foothold in California, where the company and its partners have been fighting the inclusion in legislation of a bad actor clause. The second part of the state senator's plan is sports betting, and earlier this week Gov. Chris Christie gave casinos and horse racing tracks in New Jersey the go-ahead to offer sports betting without reproach from the state. Lesniak said that Monmouth Park, the horse track most eager to begin with sports betting, made an agreement 9/10 with sports leagues to stand down for 45 days before offering sports betting. Lesniak said he doesn't think the sports leagues have a leg to stand on in the matter. A federal judge is expected to rule on the legality of Christie's directive on October 6. He also noted that he will be reintroducing legislation to repeal New Jersey's statutes against sports betting, which Christie vetoed last month, as he thinks that will be key to winning the lawsuit. He's willing to wager that sports betting in New Jersey will begin in October. His third phase to reviving Atlantic City is to allow international players in jurisdictions where it is legal to play on New Jersey sites. He has yet to attempt to move legislation he introduced at the beginning of the year that would set up that component. Stay tuned to PokerNews as more on this story develops, and be sure to follow us on Twitter and find us both Facebook and Google+! Amaya CEO on Acquisition of PokerStars: "It Will Transform the Entire Gaming Industry"